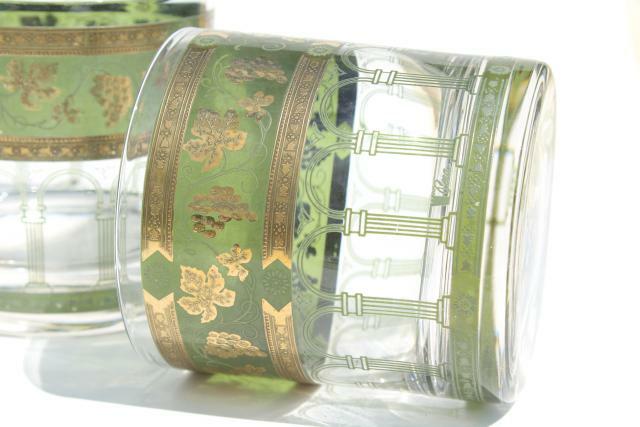 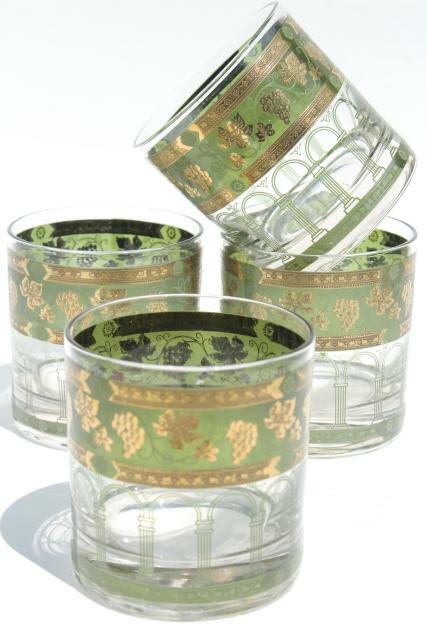 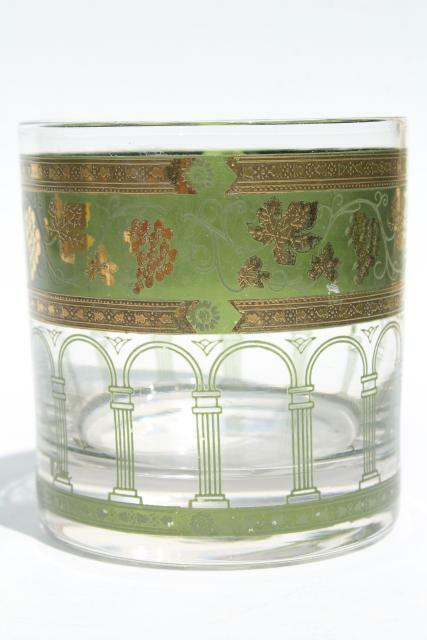 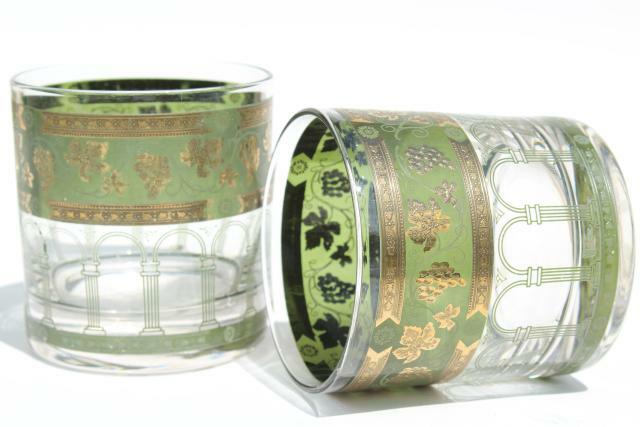 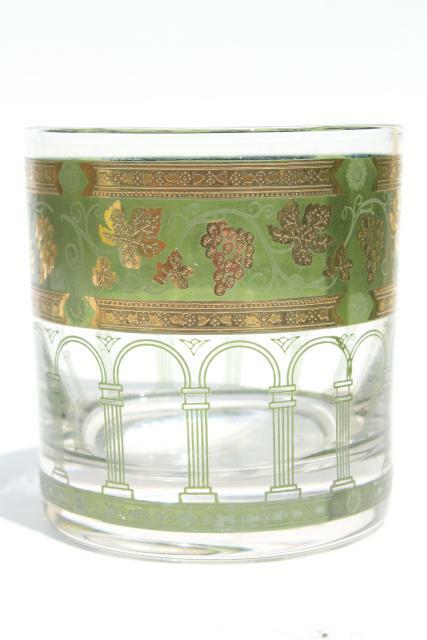 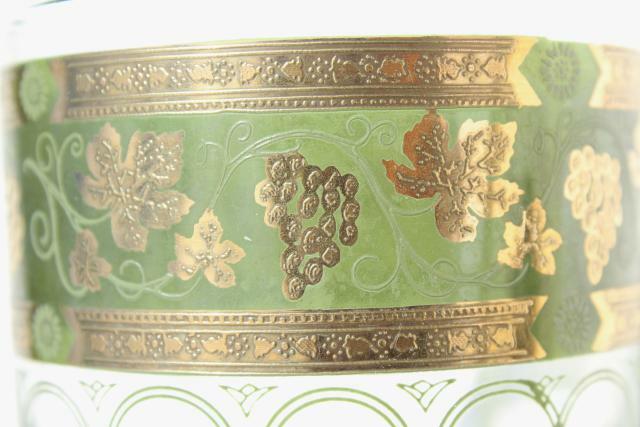 Set of four low ball glasses in the Golden Grapes pattern Cera glass, green with gold. 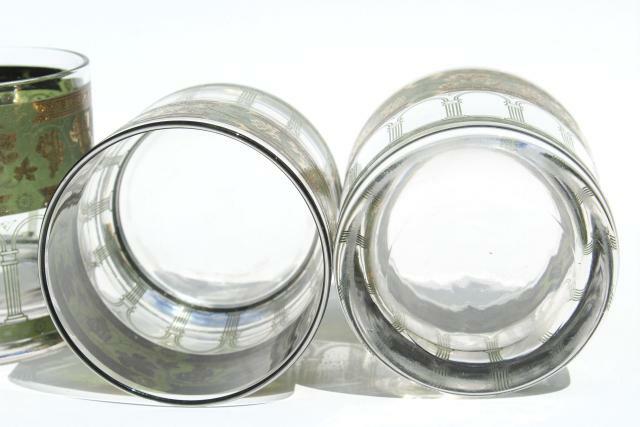 They're about 3 1/2" tall x 3" in diameter. 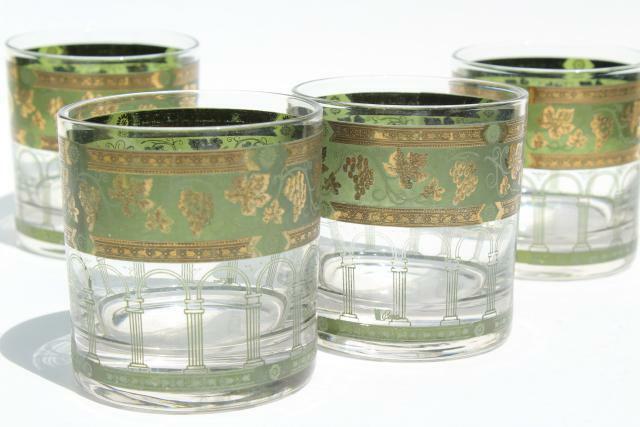 These are used, but look good with very little marking or wear, no chips or cracks.